Refugees and migrants wait to be rescued by aid workers of the Spanish NGO Proactiva Open Arms, after leaving Libya trying to reach European soil aboard an overcrowded rubber boat, 60 miles north of Al-Khums, Libya on Feb. 18, 2018. "They've been through a nightmare for the past two years," Rosa Aguilar, minister of justice and the interior from Spain's Andalusia regional government, said in a statement. "Now they can enjoy this moment with their families, who have suffered with them, and they can continue being the people they are, people who show other solidarity,” she added. The reverberations of the legal battle, however, can still be felt throughout the humanitarian community, which has seen a crackdown on relief efforts in the past few years as countries have tried to stem the flow of migrants and refugees across borders, according to the Times. Since the defendants were arrested in 2016, the number of migrants and refugees crossing the Mediterranean has plummeted, going from 362,753 in 2016 to 172,301 in 2017. This year, only 24,000 have made the journey so far. The drop reflects heightened policing efforts by both European coast guard vessels, which turn migrants back, and Libyan authorities who are paid by Europe to deter migrants from traveling in the first place. It also reflects the ongoing challenges faced by humanitarian groups. In recent years, aid workers have been arrested, had their vessels searched and impounded, and received direct threats by coast guard vessels, according to the Times. As a result, the rate of drownings in the Mediterranean remains high. “Journeys to and through Europe for refugees and migrants remain fraught with danger,” Pascale Moreau, the European director of the UN Refugee Agency, said in a press release. If the five defendants had been convicted, it likely would have further suppressed humanitarian efforts within the region, establishing a precedent for criminalizing aid workers, according to ABC. Even with the charges being dropped, the case has still dampened relief efforts among aid groups who have had to allocate resources to fighting charges of human trafficking. "This is all in a concerted effort to make a difference to the people of the Mediterranean," Team Humanity wrote in a statement. "This crisis is far from over. The inhumane treatment for refugees, the harassment and incarceration of volunteers is still happening. The outcome of the trial will set a precedent on how humanitarians and refugees will be viewed by governments, the media, and the public." The primary defendant in the case, Salam Aldeen, had been confined in a probationary state in Greece for the past two years as he awaited trial, the Times reports. 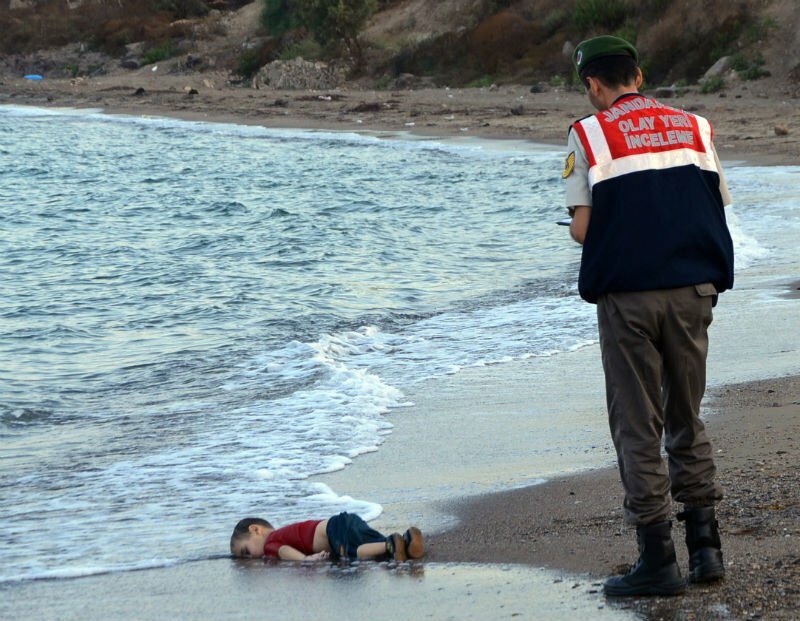 Having himself received asylum in Denmark at the age of 9, Aldeen had been determined to help refugees and migrants after seeing images of the Syrian toddler Alan Kurdi whose lifeless body washed up on a Turkish beach in 2015. It was with his boat that the aid workers rescued the migrants in 2016. Whether or not he will return to his work is unclear. Global Citizen campaigns to help refugees and you can take action on this issue here.